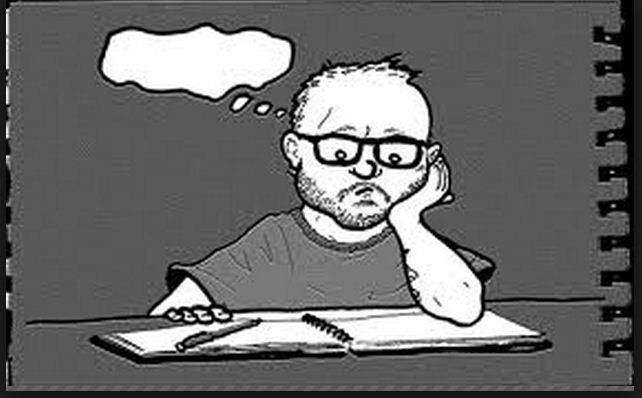 Have you ever succumbed to writer’s block? Do the blinking cursor and that blank page on your monitor get the better of you? Have you ever felt the urge to write something, anything at all, to break away from the curse of the writer’s block? and so on and so forth. Free writing works in much the same way. Now comes the next question. What can you possibly write on these topics? Do you want to weave a short story around a fashion designer? Do you want to describe your favourite dish in high-flung vocabulary? Do you want to write about that bliss you feel while watching the sun set? Or getting drenched to the bone on a rainy and stormy day? Do you want to rant about having too much homework? Hate your syllabus? Is star-gazing out in your backyard something you enjoy doing? Has a book that you’ve recently read inspired you in any way? Let one idea stem out from another till you’re either scratching your pen away or typing furiously at your desk. At this point, do not worry about what genre you want your writing to take shape in. Free writing works as your subconscious. Writing is an act that has to be self-willed. Agatha Christie wrote, “The secret of getting ahead is getting started.” So pat yourself on the back if you’ve found the right topic. And most importantly, don’t THINK about what you’re writing; “just do it!” There will be plenty of time for revisions and rewriting later. When inspiration strikes, let your feelings be your Muse and guide you undeterred. Sometimes, it’s hard finding a topic right away. Under these circumstances, the next best thing to do is to describe your surroundings in prose. Once you’re confident you’ve gathered the right material for your work, chip away till you’re left with something happy and cognizable. Let’s take these scenarios and see what we can come up with. At a railway station, I would write about all that appealed to me in terms of the five senses. The sight of people boarding and getting off trains, the filth around me, people spitting paan, or smoking beedis, unruly children running ahead of their parents, coolies hauling luggage, trains chugging and screeching to a halt…anything and everything makes for good writing material. If I’m stuck in traffic, I’d probably be annoyed and curse under my breath first! But then I would observe the homeless people and beggars trying their luck with rows of vehicles, impatient drivers looking out the window every few minutes or honking pointlessly, people on their cell phones explaining why they’re late for that all-important meeting, and so on. A key to writing about your surroundings is to be particularly observant. The little things gain more prominence than the obvious. Let your senses soak in all that is happening while you quickly jot down things. Once you come up with an idea of how to make best use of your material, you can either write a short poem, a short story with some of the characters based on the people you saw at the station or at the park, or just leave it as a prose piece in your journal. Yes, you read that right! How you feel can definitely be a source of inspiration for a good poem. Are you happy? Contrary to the saying, “too happy for words”, you can pen down the source of your happiness. Are you feeling lonely? Do you miss your best friend? Having relationship troubles? Spell it out in the form of confessional writing. Albeit, they will be immensely personal, but it can work wonders in terms of being cathartic. Writing works on different levels, and this way, it becomes therapeutic. When you feel no one understands you, writing helps you rationalise and gives you a sense of calm that is simply exquisite. You don’t have to be Shelley or Keats or Shakespeare to lay bare your bosom. Write for YOU. Not everything is blissfully unscathed by prejudices and loyalties. Having said that, try out what works best for you and do not be afraid to just write!